I should say that young people like me don’t read much nowadays. They prefer to play computer games, watch TV or video, listen to music, go to the disco or surf the Internet chatting with their friends on the social nets such as Vkontakte, Facebook, Twitter and others. Some teens are keen on hanging out and gossiping. Also one of the reasons is a lack of time because we have to do a lot of homework, attend extra classes on different subjects and help our parents about the house. Besides, some boys and girls join sports clubs or take their music, dancing or drawing lessons at the art school. And it takes lots of time, too. But nevertheless books play an important part in everyday life of each person. I’m sure contemporary generation must be intelligent and well-educated and it’s impossible without books. For example, if I don’t know the meaning of a new word or its spelling I, of course, look it up in the dictionary. Very often I use different sorts of reference books on physics, chemistry, biology etc. To tell the truth, I cannot imagine my life without books. I can’t say what particular books I prefer because I enjoy every kind: history novels, adventure and detective stories, science fiction, love stories and so on. To my mind books help to expand my outlook, to solve my inner problems, to discover new things. They always carry me to the world of wonderful adventures, help me to reproduce the pictures of the past and even to compare my own actions and feelings with the main character’s ones. Books arouse in me different emotions and stir my imagination. Everybody in our family is fond of reading and we have a rich library at home so I go to the library very seldom. (But sometimes I borrow books from the library.) My friends often come to me to lend this or that book and my parents don’t mind it. I should admit that all books that I have read before are in Russian. But recently I’ve read some tales by Oscar Wilde in the original. The theme of most of his tales is quite realistic. Now I’d like to tell you about one of his famous tales The Happy Prince. This tale is about kindness and generosity, friendship and devoted love. High above the city there was a statue of the Happy Prince. He was covered with gold leaves and jewels. People liked him very much because he was so beautiful. 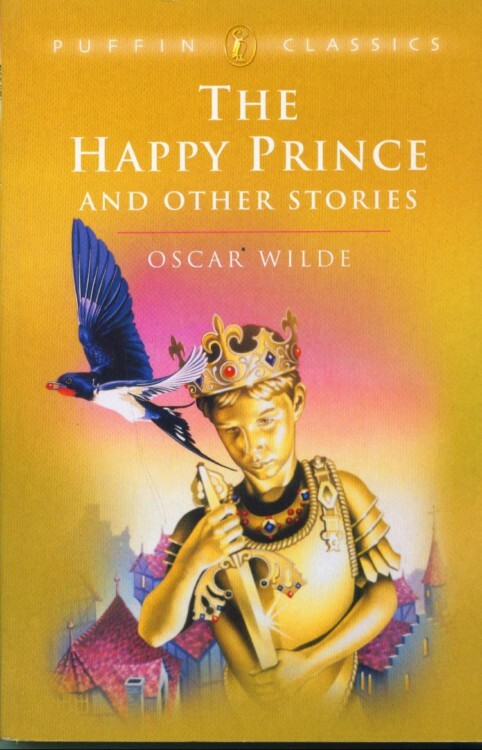 But the Happy Prince wasn’t really happy at all. He saw how many people and children were poor and suffered from hunger, cold and poverty. A little Swallow, who was flying to warm Egypt, agreed to help the Happy Prince. The Swallow took all the jewels and gold leaves out off the Happy Prince and gave them to the poor. At last winter with snow and frost came and the little Swallow died. The Prince’s stone heart was broken into two parts with grief. Now the statue looked dirty like a bagger. The Mayor of the city didn’t like it any more. So, he ordered to pull it down. As you can see the end of the tale is very tragic and sad. But I think this tale teaches everybody to be kind-hearted and help people in need. А какие у вас предпочтения? Какие книги из прочитанных запомнились вам больше всего? Эта запись написана автором Елена Шрамкова, 10.03.2015 в 01:19, и размещена в категории Топики. Следите за ответами на эту запись с помощью RSS 2.0. Вы можете написать комментарий или разместить обратную ссылку на своем сайте.